Posted by Sam Smith on Wednesday, June 13th, 2012 at 6:13pm. Newport Beach is home to many condos in all different price ranges. If you are looking for a smaller condo for a primary residence or vacation rental then finding a beach close condo under the $400,000 price range can be tough in today's real estate market. One of the places we love to show condo buyers is the Villa Balboa condo community. The condos here usually will start just under the $400,000 and expect to find a one to two bedroom condo in this price range. 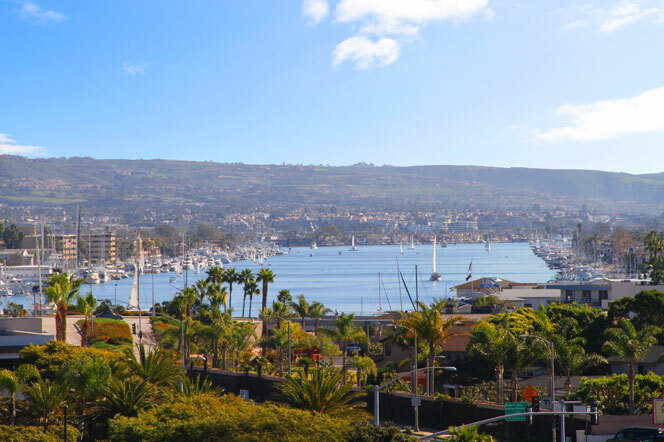 The Villa Balboa has one of the best locations and is perched at the very top of the hill that overlooks the Newport Bay and the Pacific Ocean. There is a walking trail that goes around the perimeter of the building that is very popular with outdoor enthusiasts who like to take in the wonderful ocean views. The community does have a small gated entrance and is located off Superior Ave which makes it way down to the beach. It's roughly 3 to four blocks to the beach which can you can easily walk to in 5-10 minutes. The community also has many amenities including a security door into the building and your association dues cover the water, trash and gas bill! Similar type condo buildings to the Villa Balboa would be the Seawind Condos and Newport Terrace condo buildings. For more information on Newport Beach condos in this price please contact us today at 949-44-1901. We love to share our knowledge of the Newport Beach Real Estate market!